Be honest: how many times has it happened that guests visiting your home have asked to look at your garage? 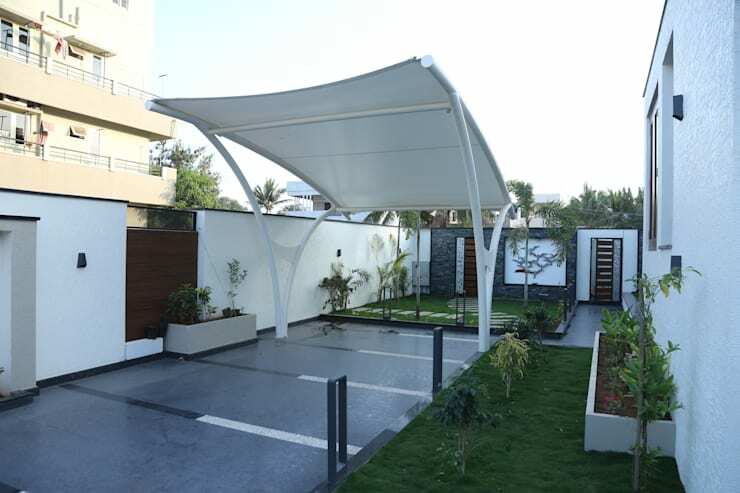 Maybe to glance at your choice of vehicles, sure, but definitely not to gather style tips – for those, they usually check out your interior design skills flaunted in other indoor spaces, like living rooms, kitchens and dining rooms. 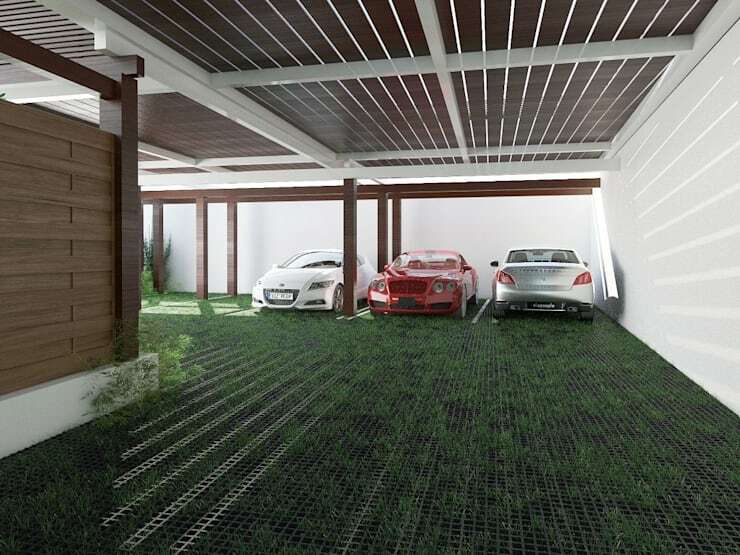 But that doesn’t mean that your garage should be a cold, dark and neglected space – after all, it’s where you keep some of your most prized, four-wheel possessions! 1. How charmingly stylish is this country garage with its timber, metal and stone design? 2. “Glitz and glamour” is how we would describe this modern beauty – and the cars are great, too! 3. 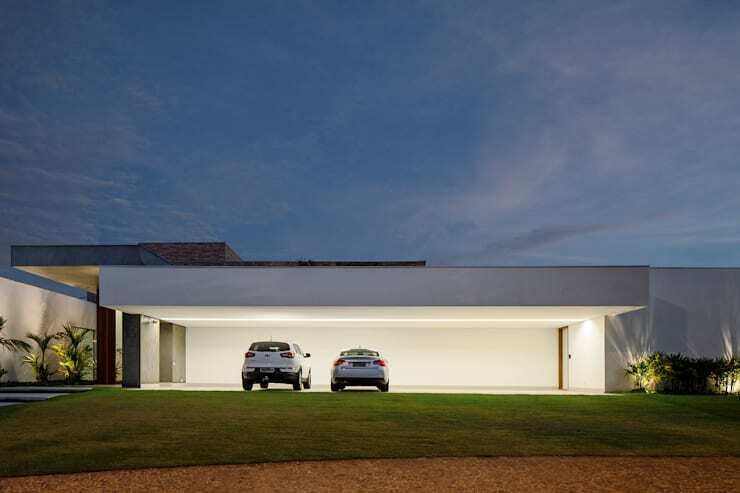 This open-plan garage flaunts quite the unique look thanks to both its floor- and roof design. 4. Not a garage per se, but we still think this parking space deserves recognition for its eye-catching style! 5. 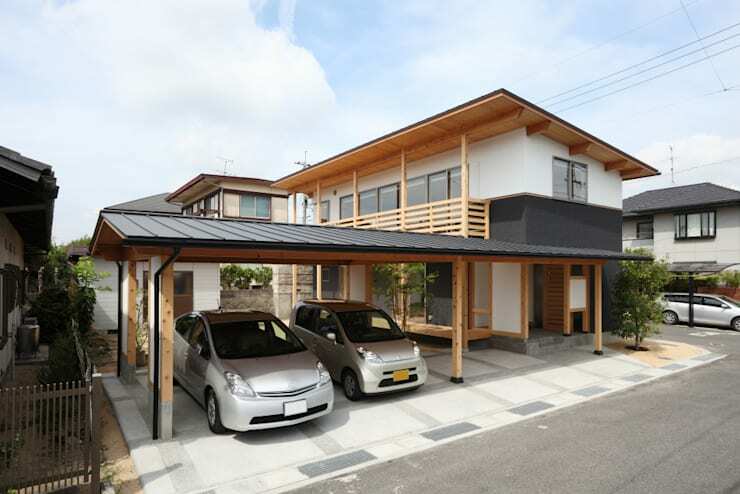 A concrete pillar, wooden trusses and curved roof shingles – this beautiful garage looks so easy to copy, doesn’t it? 6. 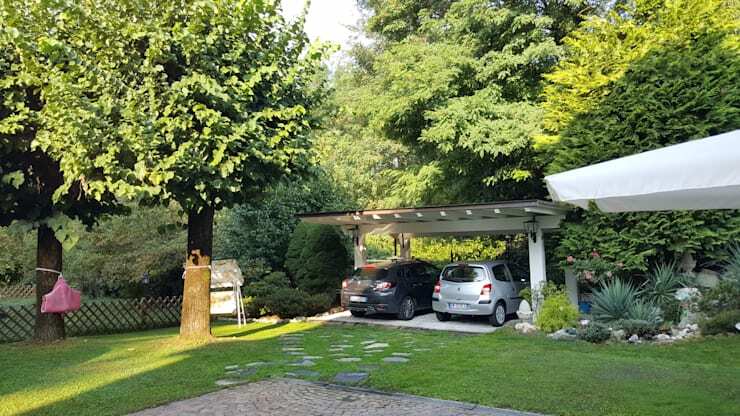 Don’t you think your vehicles also deserve to enjoy a beautiful view, such as this lush garden spot? 7. 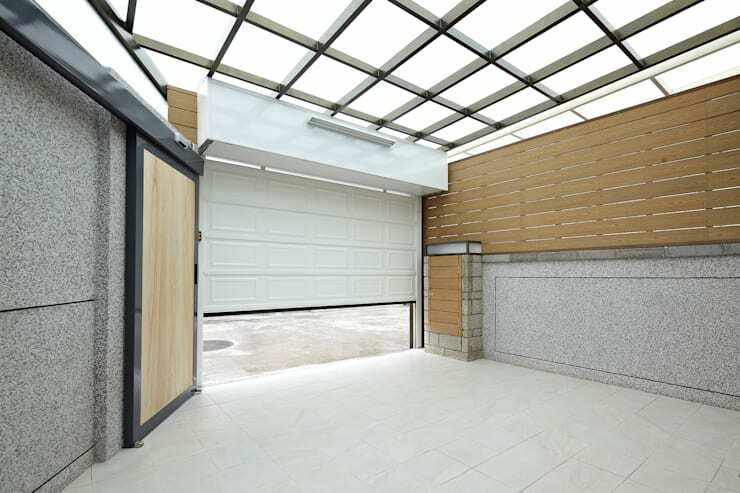 The combination of modern materials and neutral hues promote this garage design from “nice” to “va-va-voom’! 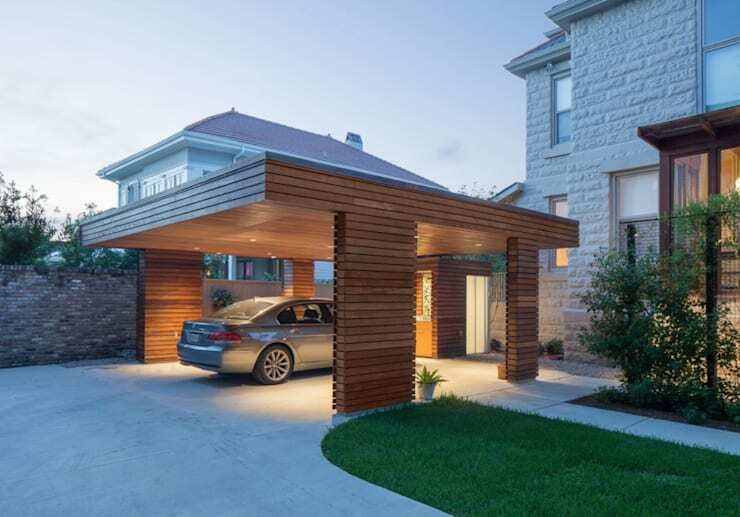 8.	Who said “less is more” can’t be applied to your garage’s design? 9. 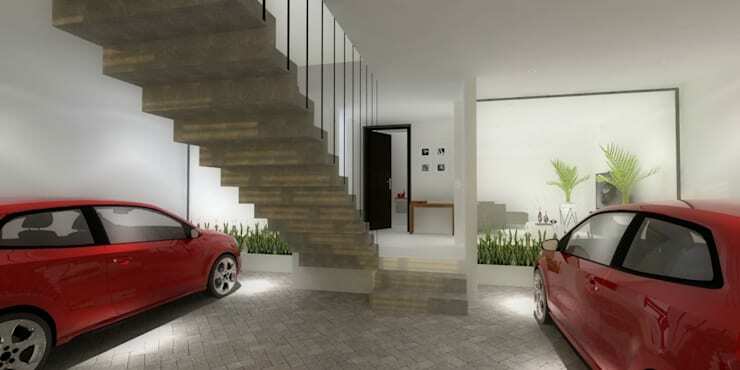 Sleek, stylish and with a touch of futuristic vision – exactly how we like our garages! 10. 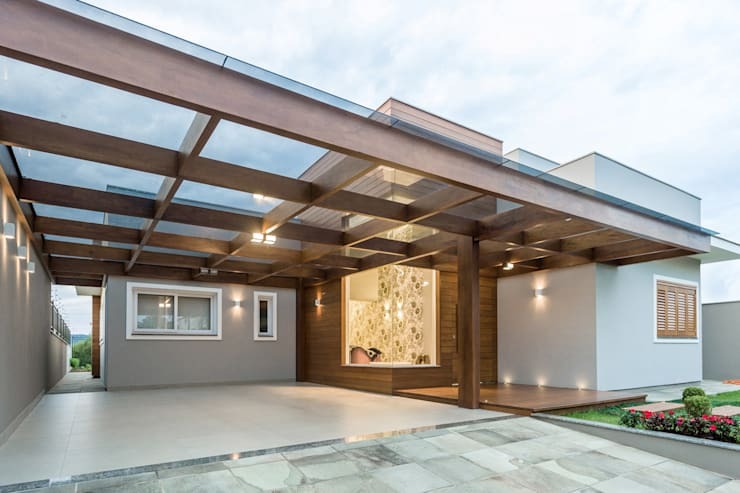 We love the almost monochrome look of this fresh and open design, and the wooden finishes add so much elegance. 11. 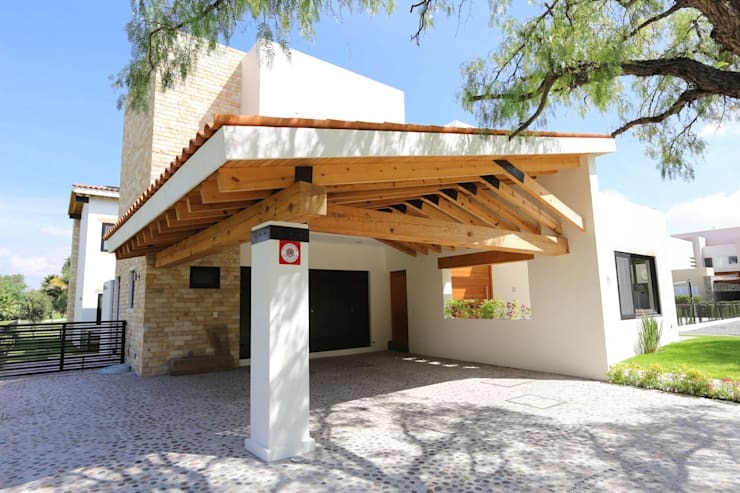 How easy would it be to recreate this timber-clad design back home? Don’t forget the glittering ceiling downlighters! From garages to gardens, have a look at DIY: 8 garden projects you can do in one weekend. 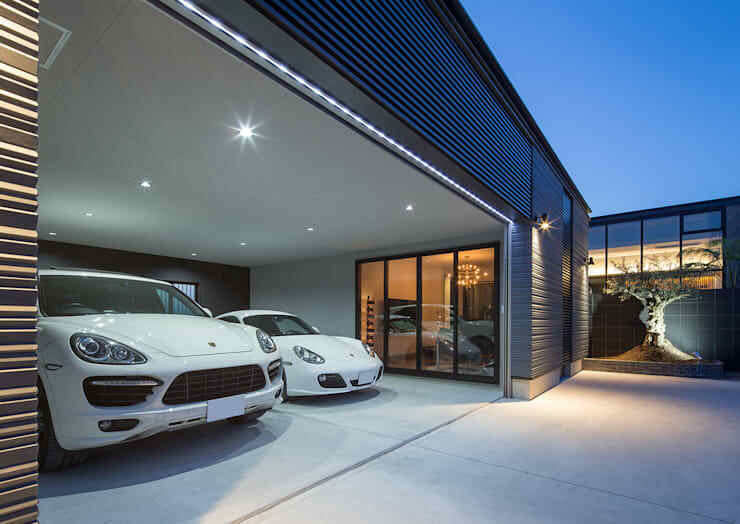 Which garage design would you love to recreate back home?